Once again, the Seahawks and Russell Wilson made deadline. This time, they also made NFL contract history. Just as they did in 2015, the two sides came to an agreement on a new contract on the night of a deadline set by Wilson, with Seattle agreeing late Monday night to a four-year, $140 million contract extension that keeps him with the Seahawks through the 2023 season and makes him the highest-paid player in the history of the NFL. The Seahawks officially announced the contract, which also includes a $65 million signing bonus that is also the highest in NFL history, on Tuesday afternoon shortly after Wilson signed it. The average of $35 million per season in new money surpasses the $33.5 million of Green Bay quarterback Aaron Rodgers, who had been the highest-paid player in the NFL. The signing bonus also breaks the record of $57.5 million received by Rodgers in a contract he signed last August. The contract includes total guarantees of $107 million, which also would be the most in NFL history, and includes a no-trade clause. This time, the two sides got the contract done as the clock struck midnight sending Monday into Tuesday, a source saying the two sides worked all day with Wilson having set a deadline of April 15 to get an extension completed with the Seahawks. Wilson was already under contract for the 2019 season, though the new deal will drop his base salary to $5 million this year, with four years then added on, meaning he could not become a free agent until following the 2023 season, when he would be 35 years old. That means in total, Wilson will earn $157 million over the next five seasons, an average of $31.4 million. That also puts Wilson ahead of Rodgers, who when including current years on his contract averages $29.1 million over six years. And according to NFL Network’s Ian Rapoport, the Seahawks “stuck to their structure” in not fully guaranteeing future base salaries, which had been viewed as a potential sticking point. Rapoport reported that there are also roster bonuses of $5 million for each of the final two seasons of the deal. 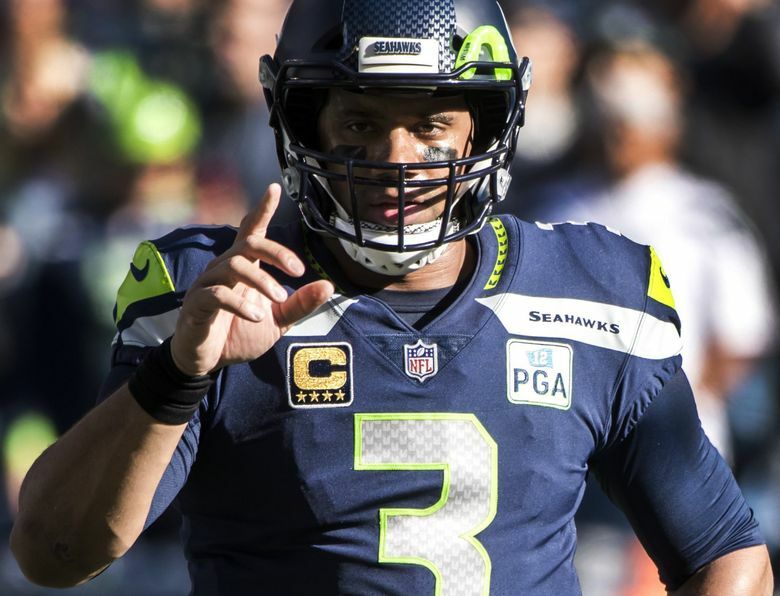 The contract agreement puts an end to months of uncertainty over Wilson’s future that included rumors that he wanted to be traded or was asking for a contract that would include clauses never before seen in NFL history. Wilson broke the news of the agreement in unique fashion, with a tweet sent at 12:44 a.m. Tuesday in which he wrote “SEATTLE Let’s get it” that then included video while in bed with his wife, Ciara. And with that, Seattle’s long, anxious wait to see if the man who went from risky third-round pick in 2012 to quarterback of the city’s only Super Bowl champion less than two years later would stick around for a while had been answered. Until Wilson’s tweet, it was unclear where things were headed amid a report Sunday that if the two sides did not reach agreement by Monday night then Wilson would not negotiate with the team again — not just this year, but ever. But while his agent, Mark Rodgers, and the team negotiated all day Monday, Wilson went about his business as usual, showing up at the VMAC in Renton for the first day of the team’s official offseason training program. While Wilson had a year remaining on his contract, he wanted an extension before the year began — as is usual custom for star players, and especially quarterbacks — and set a deadline of Monday to get it finalized, with a report from Peter King of NBCSports.com surfacing Sunday night that Wilson would not negotiate with the Seahawks further if a deal did not get done now. Wilson set April 15 as the deadline because it marked the beginning of the team’s official offseason program and he did not want uncertainty as the team returned to work and then into the summer — basically, he wanted to avoid all the discussion and rumors that circulated last time and had already begun to dog the process this time around. The Seahawks will also have to consider giving an extension to Wagner — as Wilson indicated in his tweet back to him. Wagner is also entering the final season of his contract. But all they cared about Tuesday was that the deal with Wilson got done.